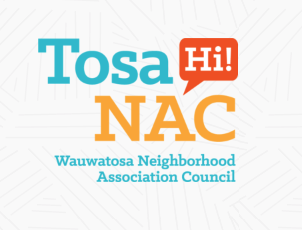 Spin Group recently launched the Wauwatosa Neighborhood Association Council website. The design was by Jessica Himsel at herandhimsel.com. The WNAC hosts a variety of events, and has a page called eBlasts where users can access emails that WNAC has sent. Visit their website here. Our client, Boschert USA, needed a new web-page that showed clients exactly what their profile bending technology could do. This content needed to be engaging, and they wanted a focus on “big images.” Spin Group collaborated with designers at Raddesigns to create a website with both strong, informative content as well as a modern UX. This website uses full-width imagery while displaying some heavy-duty technical information. Ample use of large, high-resolution background photos shows visitors the capability of PBT machines in an nonintrusive way. See the website here. OPTIBELT Corporation offers banded v-belts, timing belts, cogged v-belts, ribbed belts and other similar products for numerous industries and applications. Part of the Arntz OPTIBELT Group of Hoesxter, Germany, OPTIBELT Corporation services the North American, Mexico and Brazil markets. Spin Group worked with OPTIBELT's marketing team to create a responsive website using TYPO3 CMS platform.